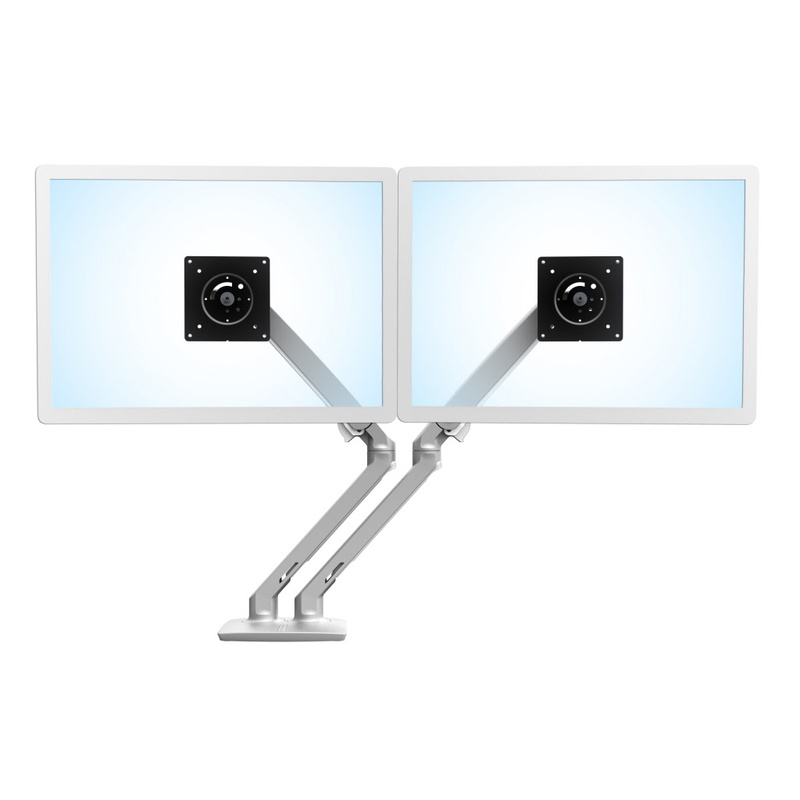 Add style to your dual monitor desk without sacrificing functionality. The sleek and lightweight MXV incorporates a modern V-shaped design with proven engineering to create a stable yet flexible platform for your side-by-side screens. With a slim profile, MXV offers 13" (33 cm) of integrated height adjustment, integrated tilt and more—all on a convenient swivel base. The arm’s adjustability helps increase viewing comfort, while its upscale finish leaves a stylish impression.